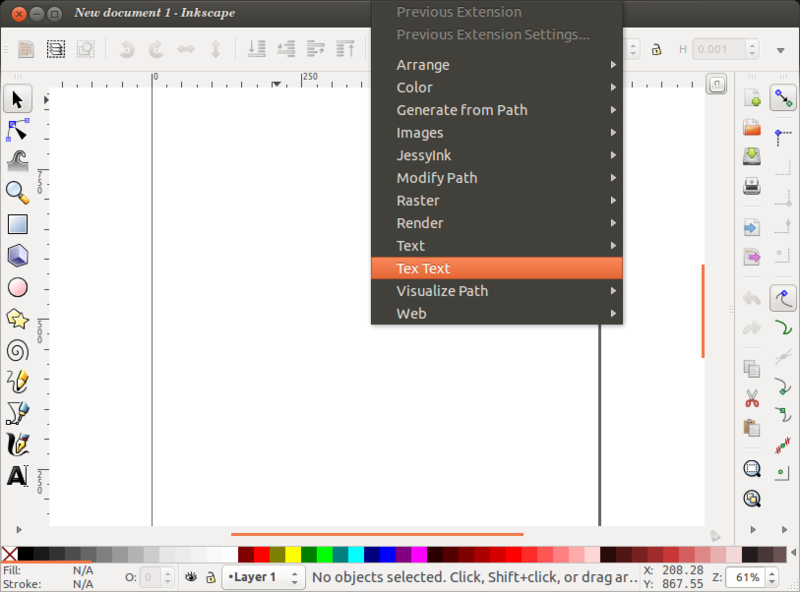 I am trying to install the package TexText on Ubuntu, such that I can type Latex in certain gaphs. I followed these instructions, but when I open Inkscape I do not have the option Latex in the Extensions menu... Can anyone help me diagnose this problem? => Open Gedit or your any favourite text editor. Have you yet checked out my new integral equations? Not the answer you're looking for? Browse other questions tagged latex text inkscape or ask your own question. How to control Graphical programs from terminal?